Motown: the Musical at the iconic Shaftesbury Theatre. The hit West End production of Motown: the Musical is now booking at the Shaftesbury Theatre until 20 April 2019! With music and lyrics from the Motown catalogue and book by Motown founder Berry Gordy the production features a sixteen-piece orchestra playing 50 Motown tracks including Ain’t No Mountain High Enough, I’ll Be There, Dancing In The Street, Stop! In The Name Of Love, My Girl and I Heard It through the Grapevine. Charles Randolph-Wright’s production tells the story behind the classic hits. It began as one man’s story… became everyone’s music…and is now Broadway’s musical. Motown: the Musical is the true American dream story of Motown founder Berry Gordy's journey from featherweight boxer to the heavyweight music mogul who launched the careers of Diana Ross, Michael Jackson, Smokey Robinson and so many more. Motown: the Musical tells the story behind the hits as Diana, Smokey, Berry and the whole Motown family fight against the odds to create the soundtrack that changed America. Motown shattered barriers, shaped our lives and made us all move to the same beat. Now, experience it live on Broadway in the record-breaking smash hit Motown: the Musical! 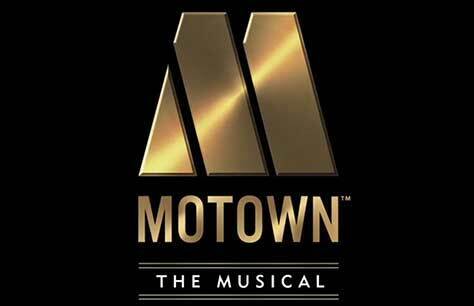 Motown: the Musical tickets on sale now! What a fantastic last show.